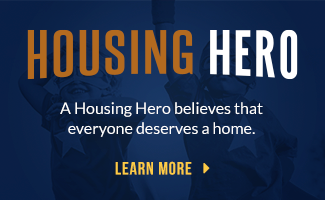 Make a one time donation to support our mandate of providing affordable supported housing in Niagara. We are registered with Canada Helps, a Canadian online platform to make charitable giving simple. When you make a donation over $10, a charitable tax receipt will be issued and emailed immediately. Since 1986, Bethlehem has been a refuge for families who are homeless due to issues with poverty, physical disability, mental health, domestic violence and family breakdown. Because of friends like you, individuals and families that reach out to Bethlehem for help are supported on their journey to stable housing. Marilyn’s journey to stable housing began when she reached out to Bethlehem Housing and was connected with a community support worker. Her support worker walked alongside Marilyn and helped to connect her with community based resources that have contributed to her quality of life. One year later, after completing the transitional housing program at Bethlehem Place, Marilyn has the confidence and skills to move forward in life and to live independently in her own apartment within the community. Without your support we would not be able to provide the wrap-around support services that enable people like Marilyn to find stable housing and lead fulfilling lives. Your gift will make a difference! 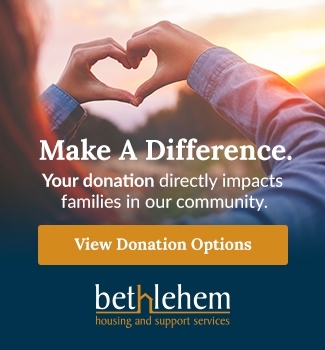 Each time you donate to Bethlehem you give the gift of stable housing and services to support the personal growth of individuals and families in your community.